Here comes summer, and that means beach reads! Cat & Mouse Press is happily accepting work for its second Rehoboth Beach Reads short story collection, and I am happy to be one of the judges for this year’s contest. This year’s theme is “the Boardwalk.” A connection to a boardwalk is required by contest rules, but writers do not need to be from Rehoboth Beach or Delaware. You can send a story from wherever you write! You can discover more about the contest, the press, and recommendations for writers, at the website or by signing up to receive the Writing is a Shore Thing (#writeshore) newsletter. 2. Stick to the theme, but be creative. The story doesn’t have to be “about” the theme, it just has to fit the theme. This year, for example, stories should have some reference to a boardwalk, and it would be great if a boardwalk featured prominently in the story, but the story doesn’t have to be entirely about the Rehoboth Beach Boardwalk. How can you make your story different? Think of a different approach, a twist, unusual characters or situations. 3. Make sure it’s a story. Short stories should have structure, just like a novel. There should be conflict and resolution. Characters and setting. Something should happen. A list of memories or a description of activities is not a story. 4. Consider a genre. Keep in mind that the ultimate goal of the contest is to produce an interesting book. Readers (and judges!) like variety — they don’t want to read 23 memoirs about going to the Boardwalk as a child. How about a mystery? A romance? Creative nonfiction? 5. Shorter is better than longer. When it gets time to choose the last few stories for the book, it is easier to fit in a couple of shorter pieces than to find room for a long story. And remember this motto: “If I had had more time, it would have been shorter.” Good editing = good writing. 6. Think “beach read.” This is not a literary competition. Stories about tragedy, politics, illness/loss, and other serious topics are certainly important, but is that what you want to read about at the beach? Keep it light or make it inspirational. 7. Polish your story. If you want to be a published writer, produce publishable work. Check and re-check spelling, punctuation, and grammar. A mistake or two won’t disqualify a first-class story, but well-edited writing gives your story its best chance to stand out. 9. 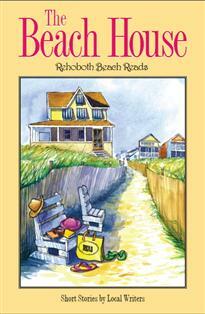 Remember this is the Rehoboth Beach Reads contest. 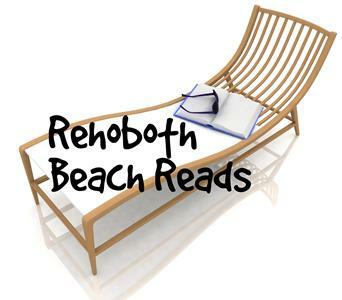 You don’t have to live in Rehoboth, and the story doesn’t even have to take place in Rehoboth, but there should be some connection to Rehoboth, and certainly a strong connection to the Delaware beach region. This is not the place to submit a story about winter in Nebraska, even if there is mention of the Rehoboth Boardwalk. 10. Have fun. A story you have fun writing, fun editing, and fun reading, will be a story the judges (and ultimately the book buyers) will have fun reading. Deadline is July 1! Don’t miss this opportunity. Interested in reading last year’s winning stories? Check out The Beach House. Or, if you’d like to read a story written to theme, my own story “Trust” won the Writers at the Beach 2008 Fiction Contest. Its theme was “the beach.” It was published in Delaware Beach Life Magazine, and can be read here. This entry was tagged Cat & Mouse Press, Rehoboth Beach Reads, short story writing tips, themed collections. Bookmark the permalink.